Hateful leftist Karen Fonseca made headlines after driving around Fort Bend County, Texas with a nasty “F*** Trump” sign on the back of her pickup truck. Karen was picked up at her home last Thursday and arrested for a previous outstanding crime. 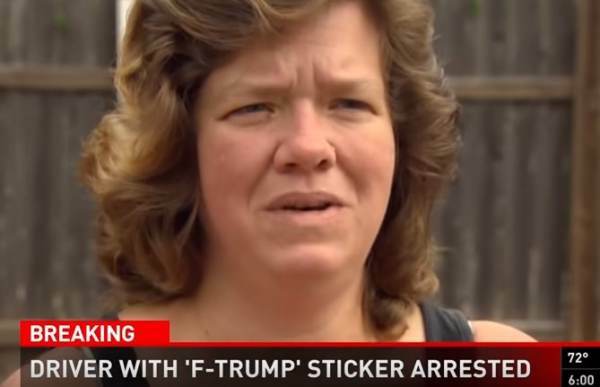 A Texas woman who became a viral sensation for displaying a controversial “F*** Trump” sticker on her pickup truck has added a new decal to her collection. CBS News affiliate KHOU-TV reports Karen Fonseca made headlines after Fort Bend County Sheriff Troy Nehls threatened to arrest her for displaying the anti-Trump sticker. Last week Nehls posted a photo of the truck message on Facebook and threatened Fonseca with a disorderly conduct charge over the decal. 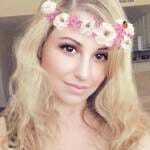 She was subsequently taken into custody on a warrant from 2014, and was later released on bond. Fonseca was driving around town with the F*** Trump bumper sticker for the last 11 months. Karen is very upset that she was arrested for a past crime.